This is the first time I'll be doing a full feature on horseback travel and I've chosen the company that I want to promote carefully. The passion and commitment to excellence from the Trail Riders of the Canadian Rockies won me over within minutes of chatting with the group president. 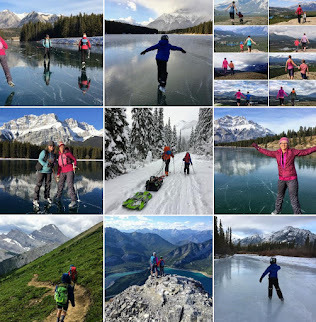 I know that most of you do your backcountry travel on foot, but I hope you'll continue reading because I want to make sure my website covers ALL topics related to getting outside as a family in the Canadian Rockies. We have a rich cowboy heritage in North America and it's important to teach our children about our country's roots, history, and culture. Teachers know that the best way to bring culture or history to life is to take children on field trips, to expose them to experiences with hands on learning, and to allow them the opportunity to use their five senses as they explore. The Trail Riders of the Canadian Rockies offers 6 day backcountry tours in August each summer - allowing your family a "bucket list opportunity" to experience life on the trail, to sleep in an authentic Native American teepee, to spend evenings around a campfire singing traditional folk songs every child should learn, and to unplug from all electronics! Watch this video below and find out how you can "unplug from our electronic society and plug in to peace and quiet" on a tour across beautiful Waterton Lakes National Park this summer. The Trail Riders of the Canadian Rockies is a non-profit organization. They do not own horses, they do not own a ranch, and they are not limited to using the same trails every year. This club is run by volunteers and passionate folks wanting to keep their club alive after 92 years of offering summer backcountry tours on horseback. Each year, the Trail Riders choose a local outfitter to guide their summer tours and to supply horses. They also choose a new location for their backcountry tours or choose new trails if operating out of the same national park. They always run their rides in one of our beautiful national parks and they try (when possible) to offer a backcountry campsite that you will stay at for the duration of your tour. Rides are always done as day trips, returning to the same camp at night so that you can enjoy not having to pack up every morning. Guests find this to be more relaxing, and have the chance to take rest days as well if they want a quiet day spent at camp. 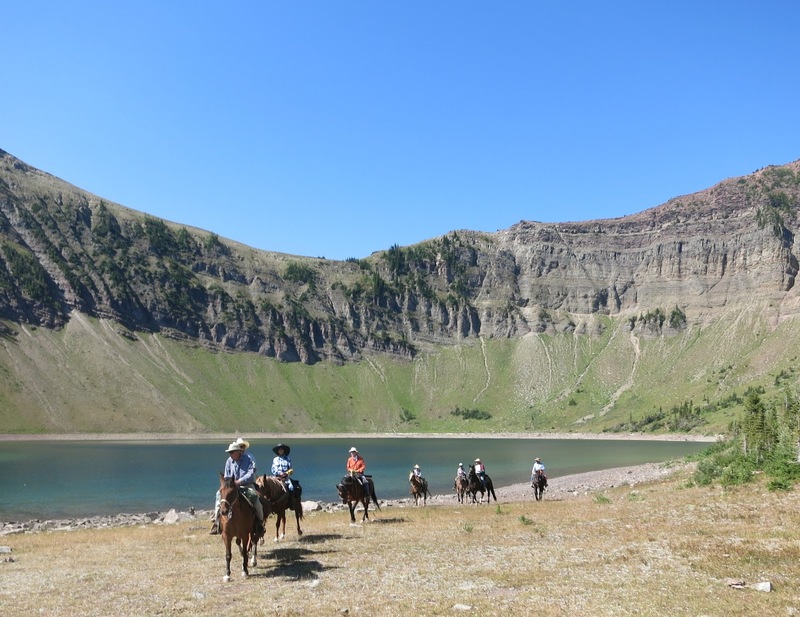 This year, the Trail Riders will be running three 6-day backcountry tours out of Waterton Lakes National Park along with day trips for the first time. The format will be a little different this year in that the base camp will be set up in a front country (road accessible) location just outside the national park. Guests will be transported to trailheads throughout the park each morning for six hour rides in backcountry Waterton Lakes National Park. While it would be nice to be camped in the backcountry, Waterton Lakes is not a big enough park to accommodate this and guests wouldn't be able to tour all of the best locations. By transporting guests to trailheads, you will get to see the very BEST of Waterton on horseback. I looked at the trails that will be covered on this year's rides and it would take my family two to three days to hike in and out of some destinations. Traveling by horseback means you can cover up to 20 km in a day! Quick math and 20 km x 5 full days of riding and you'd be covering up to 100 km of backcountry Waterton Lakes National Park during your tour. Don't want to spend 5 full days riding? No worries! As mentioned earlier, you can always take a rest day if your muscles start to get sore, and there is also an opportunity to take a break mid-week with a scenic boat cruise on Upper Waterton Lake. For more information on the 6-day tour and rides covered during your week, please go to the Trail Riders of the Canadian Rockies website. 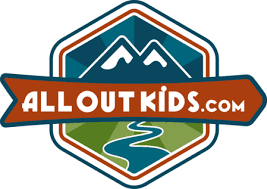 What is the recommended age for children coming on your backcountry trips in order for them to fully enjoy the trip? We recommend that children be at least eight years old and have some camping/horse experience. Ideally, 12 is best. Safety is our number one priority. Every single child must be able to ride and control their own horse. We do not allow towing kids with a halter. If you can follow instructions to control your horse, then you can come. If the child doesn’t listen to instructions, age doesn’t matter. It all comes down to safety. You must be able to ride a horse. (And this applies to seniors too as they age and need to retire.) Bottom line – can you ride and control your horse? Do families need to have a ratio of supervising parents per children? We like to have one parent (or grandparent) per one or two children. If you have more than two children, you should have a second parent or supervising adult. We have a lot of grandparents who like to bring their grand kids on our tours. What is supplied on your tours to keep children safe? We supply the horse, the saddle and all other gear for your ride. You must bring your own helmet though as we don’t supply helmets and we require children to have one. Is there an emergency plan in case something happens on a trip? The head guide is responsible for all safety issues and carries a first aid kit. This year we are camped in a front country location so a rescue could easily be made from camp. On rides, a guide would quickly be back in cell coverage at a fast ride in order to get a helicopter for an emergency. It should be noted that having to evacuate somebody has happened only a handful of times in the history of the club. Is there a backup plan in case of inclement weather or do trips/daily rides run rain or shine? We put on our rain slickers and continue rain or shine. Out of 40 rides I have personally been on, maybe 5 days have been cancelled due to inclement weather. We only cancel rides because of bad slippery trails when you can’t go on muddy trails in the rain. It’s about the horses, not the people in this case. If we had to spend a day in camp due to poor weather, we'd play games, chill, sing songs, tell stories, and pass the time. And note that this year, other options are available in Waterton with the front country location of camp so you could do something else and take a break from riding for a day. Do you need previous experience with horseback riding to go on one of your tours? We welcome novice riders but we suggest that every rider “brush up” on their riding skills before attending a ride. Proper posture and comfort is important. You Must be able to handle the horse while trotting. If you don’t want to trot or are a total beginner,you can ride at the front of the line behind the guide where you are going to be moving at a dead walk. We always use a quality outfitter that has beginner-friendly (dude-able) horses trained for novice riders. The outfitter matches the rider with their horse, watches you ride and will change horses as need be to ensure you have the best match for your week. 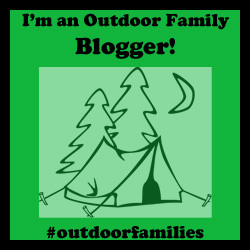 Would families have their own private tent/teepee? Is all overnight gear provided? Where possible, riders select their own teepee/tent mates, particularly with families or friends wishing to be together. Riders are responsible for their own personal gear but tents/teepees are provided along with sleeping mattresses and cots. Teepees hold 2 people so a family of four would get two teepees or could crowd into one. You could easily fit four people in a teepee if you slept on the ground rather than using the cots. Can you accommodate food allergies or diet requests? Hearty four course meals are served by our expert camp cooks.Where possible we try to accommodate special diets but if you have a severe life-threatening allergy, you should probably not come on one of these tours because it would be too dangerous for you. Are clients responsible for grooming and saddling their own horse? The horses are handled and cared for by the staff. Clients don’t have to do anything. This is a luxury trip. What activities are provided at camp to entertain my family? When available, a musician provides music for singing, dancing and entertainment in the “Doughnut tent.” Horseshoes, games, and crib are other popular games. Ideally you should come to the tent and join in the sing songs each night. Square dancing is another highlight of our evening entertainment. Are there opportunities to shower at camp? We’ve always had hot water at camp. Showers are new as of 8-9 years ago with guests encouraged to limit their showers to once or twice a week. How long are the riding days? We travel at a steady walk for roughly 2 hours before having a pit stop to stretch, have snacks, and go to the bathroom. Then we ride another hour to two hours before we stop for lunch. The most we ride in a day is 6 hours and we can cover up to 20 kms. What are the major highlights for families or reasons to try an overnight horseback trip? People come on trail rides to get into the backcountry without having to walk and without having to carry their gear. You can’t take helicopters into the national parks so you either ride a horse or backpack. The average person walking down the street can’t backpack due to lack of gear, expertise, fitness, or ability. Horseback riding is easier for the average person. Most people can trail ride. Note that people are coming to see the country side, not to ride a horse. The horse is just a mode of transportation. Real "horse people" think we are too wussy. This is a luxury riding tour and we move at a walk, guests don't have to saddle or groom their horse, and you won't be galloping across the country side. Our tours are great for grandparents bonding with grand kids and parents bonding with their children because you’re together 24/7 with no electronics and no distractions. We won't allow you to bring video games, electronic gadgets, phones, I-pads, etc. This is your chance to get reacquainted with your family. We bring marriages together and bring families back together. Why should people choose your company over the dozens of other outfitters out there? Because we go to a different place every year. Guest ranches don’t move. Repeat customers wouldn’t find it appealing. We have been operating our tours for 93 years. These tours are planned out of experience and our motto is "if it ain't broke, don’t fix it." This is a luxury trip. We take city slickers into the backcountry and spoil you rotten. If you don’t want to be spoiled, pick a different tour. This is not roughing it. Finally, We offer a base camp experience without having to pack up and move each day. This is different from many backcountry tours where you will move between camps all week long. We've created the slogan: "The Best Vacation of your life!" because it happens time and time again where our clients tell us they've had the" best vacation ever" after a week with us. Can your children walk 20 km in a day? A horse can! For more information on the club's 6-day Tours, and their day tours in Waterton Lakes National Park this summer, please visit the Trail Riders of the Canadian Rockies website. Disclaimer: This story has been sponsored by the Trail Riders of the Canadian Rockies. The interview was conducted with Stuart Watkins, Group President. Words in the introduction are my own. 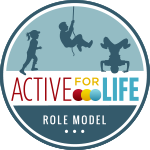 I am pleased to offer my personal support to this great organization and to publicly endorse them as a great option for your family's summer vacation.